Jointly organised by Singapore Federation of Chinese Clan Associations, Singapore Press Holdings, Singapore Chinese Chamber of Commerce and Industry, Singapore Tourism Board and People’s Association, River Hongbao has been an integral part of Lunar New Year celebrations since 1987. 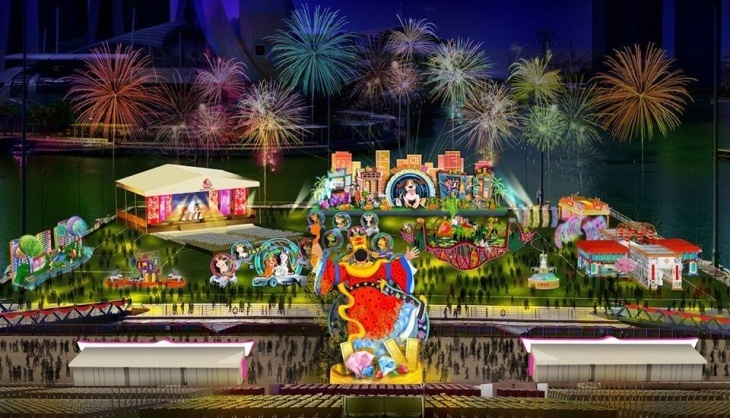 Be mesmerised by dazzling lantern displays, spectacular fireworks for 11 days, popular food street, amusement park, Getai night, overseas performances, 11 days of fun, culture and heritage! River Hongbao 2018 will be held at The Float @ Marina Bay from 14 to 24 February 2018.